After the great success of Lizzie's 2015 exhibition, P L A N T P O T returned for 2016 with a 'Pattern' theme. Lizzie commissioned and curated a collection of 12 one-off plant pots, designed and made by friends of SMUG. Each designer produced a water tight plant pot using any material of their choice. Every pot was then planted up by Lizzie with a succulent or cacti to compliment the design. From top to bottom, starting on the left the pots are designed by - Laura Slater, Geo-Fleur, Manolya Isik, Origami Est, Tilly Hemmingway, Ruby Taylor, Donna Wilson, Holly Kemp, One Design Space, Kangan Arora, One We Made Earlier and Laura Gee. Lizzie would like to thank all of the designers who took part in the show. Details of P L A N T P O T 2 0 1 7 coming soon. 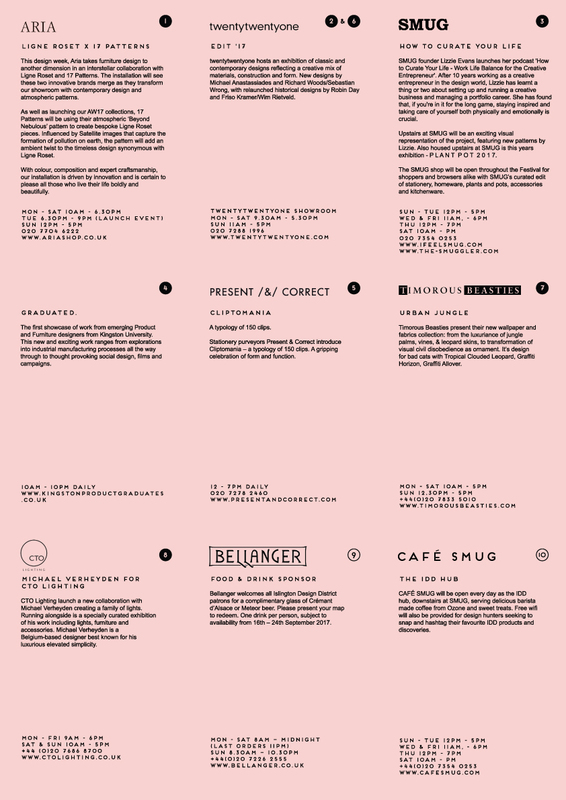 See P L A N T P O T 2 0 1 5 here. 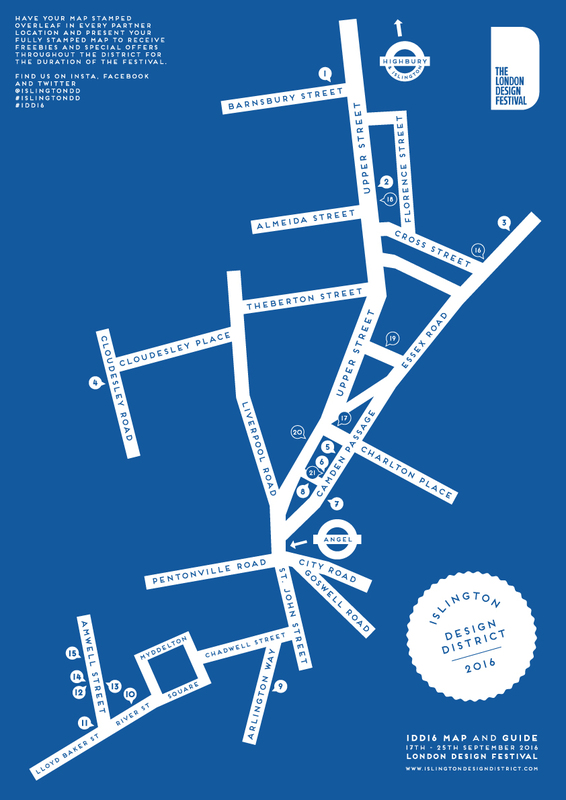 In 2014 Lizzie set-up the Islington Design District on behalf of the London Design Festival. Four years on and Lizzie continues to run the district. 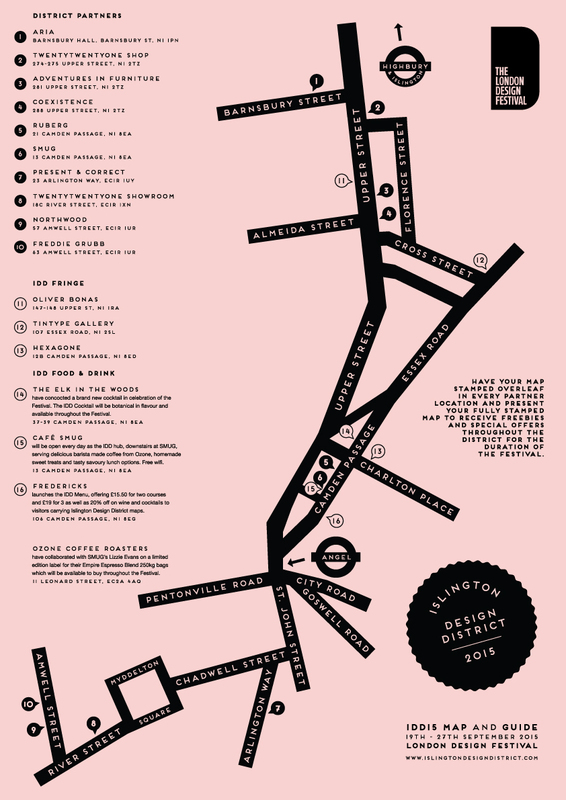 The IDD is a collaborative event made up of several design shops and showrooms across Islington celebrating great design with a particular focus during LDF each September. 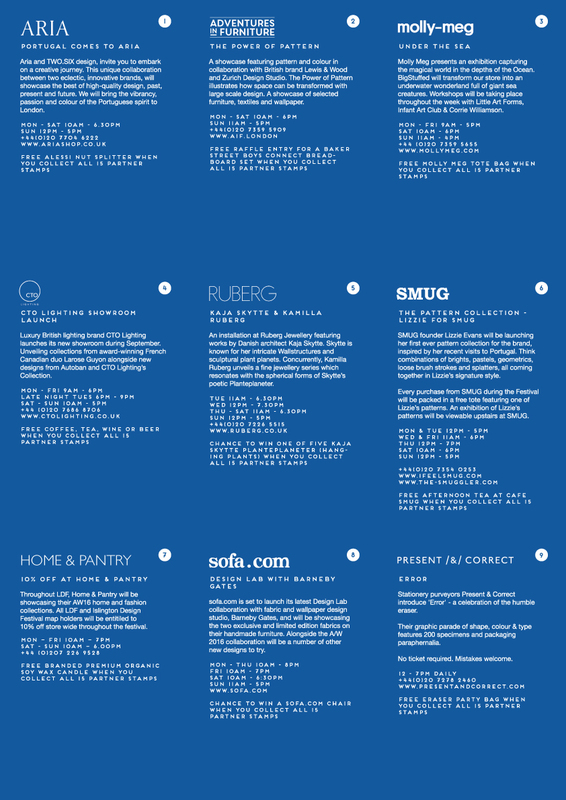 Partners have included Adventures in Furniture, Aria, Coexistence, CTO Lighting, Freddie Grubb, Molly Meg, Oliver Bonas, Present & Correct, Quill London, Ruberg, SMUG, Timorous Beasties, twentytwentyone and Wallace & Sewell. Lizzie is also responsible for the branding of the IDD as well as designing and producing all maps and other printed matter for the district. 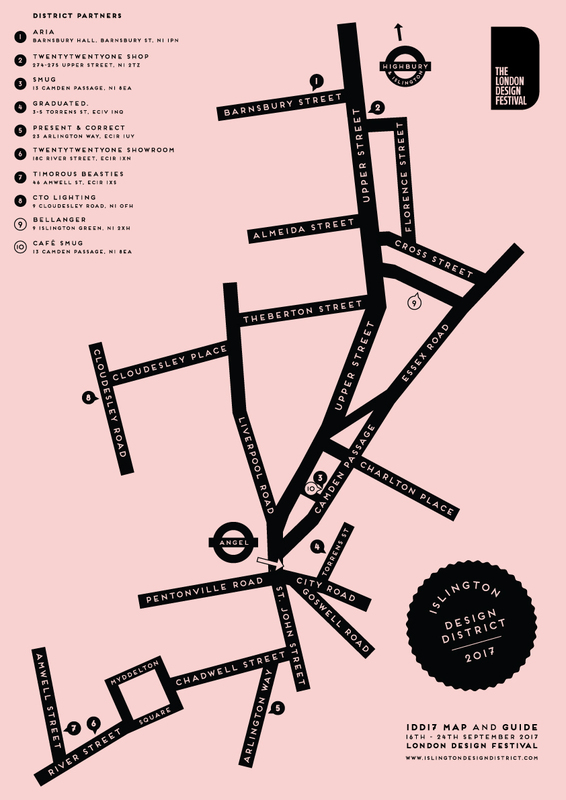 If you would like to connect with the Islington Design District, please contact Lizzie direct. Ozone Coffee Roasters approached Lizzie to design a pattern or illustration for a limited edition label to celebrate their signature Empire Espresso blend for London Design Festival.
" In celebration of London Design Week, Ozone Coffee Roasters have produced a limited edition label for the iconic Empire Blend. 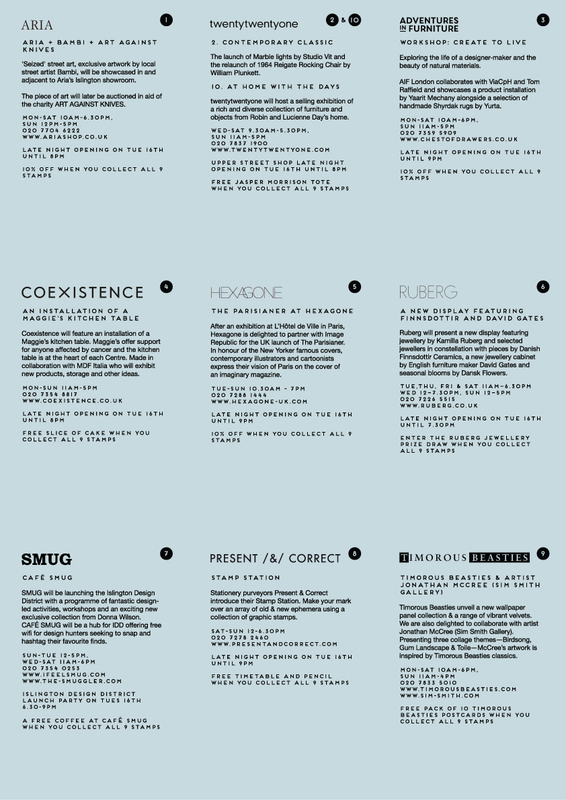 The label has been designed by Islington Design District spearhead and SMUG lifestyle storeowner, Lizzie Evans and will also be available to buy at CAFE SMUG & Ozone Coffee Roasters for the duration of the Festival." " This festive season we have collaborated with London designer, Lizzie Evans, to create our limited edition holiday label. Lizzie has pieced together two complimentary designs made up of bold but loose brush strokes with abstract tree motifs influenced by traditional Christmas tress from our homelands of New Zealand & The UK. Lizzie heads up the SMUG lifestyle store & cafe in Islington and recently launched a fresh illustrative pattern collection, which evokes the energy and essence of the SMUG community. "